Dr. Jason L. Joseph is a residency-trained, experienced, qualified, and board certified dental anesthesiologist. 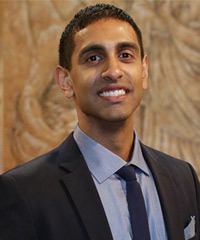 He attended Boston University’s Henry Goldman School of Dental Medicine, where he graduated with honors and received an award by his professors for “Excellence in Patient Management.” After graduating Boston University he was accepted into a General Practice Residency Medical Track and Dental Anesthesiology Residency at Stony Brook University Medical Center, the only residency of its kind in the nation. During Dr. Joseph’s Anesthesia training at Stony Brook (the only level one trauma center in Suffolk County), he took trauma call, provided anesthesia for transplants, urological, oral surgery, dental, ear-nose-throat, vascular, plastic surgery, orthopedic, neurosurgery, pediatric and adult general surgery.